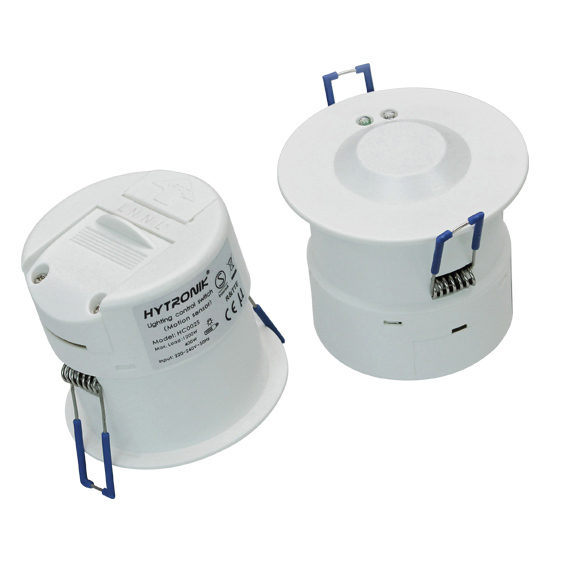 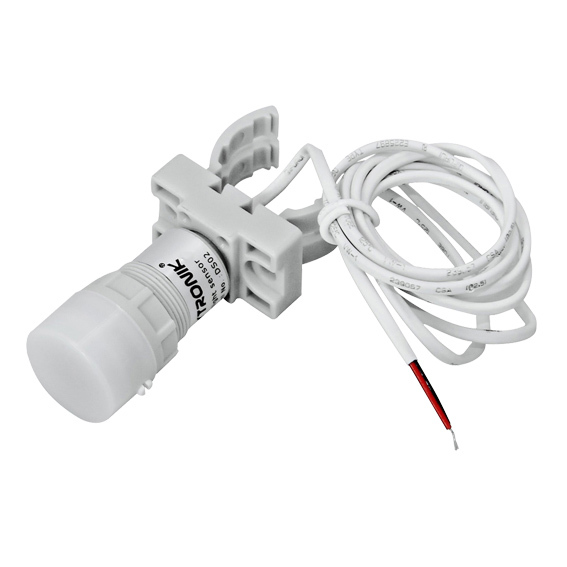 This is a photocell daylight sensor, it can read and measure the surrounding light, and converts the amount of light to 1-10 V electronic signal output. 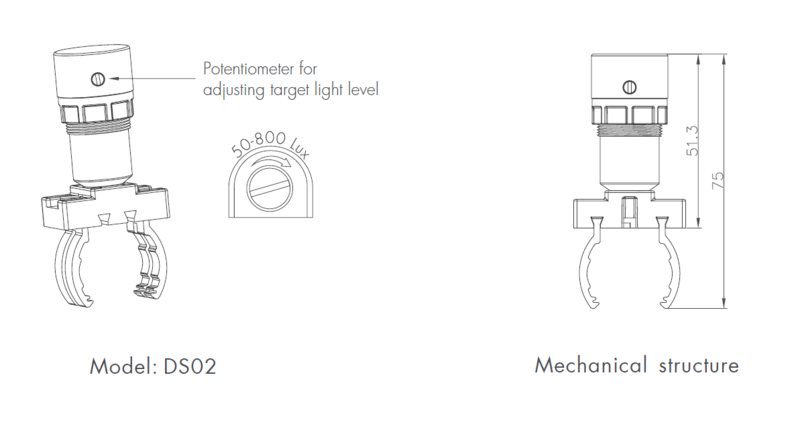 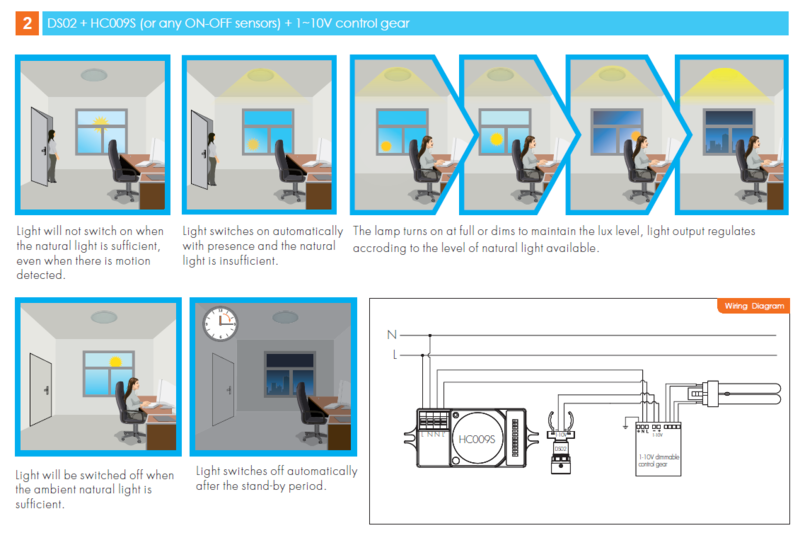 A potentiometer is employed for end users to set the brightness level, so that the daylight sensor can read, measure the available natural daylight against the target value, and calculate how much artificial light is needed. 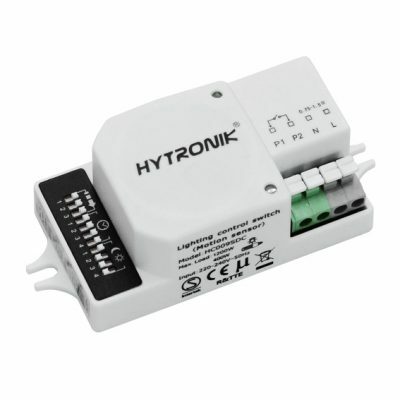 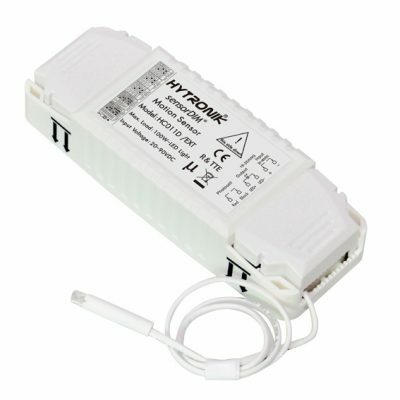 This demand is then converted to 1-10 V signal, to be sent to the 1-10V dimmable ballast or LED driver, which will then pump up the right amount of light out of the fluorescent lamp or LED fixture.